After the successful Wreck-it Ralph, Walt Disney is back with another animated event this coming January. 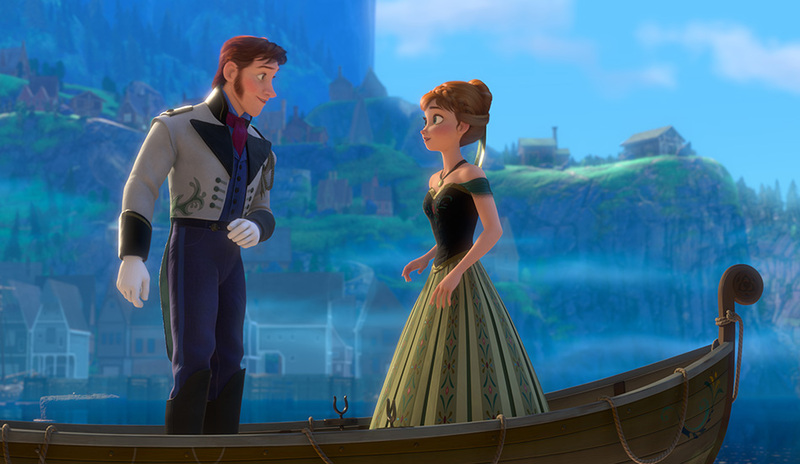 Watch the first teaser for "Frozen". Yep I know the teaser didn't really gave up anything. It some kind of a teaser like what Ice Age use to do with Scrat. But here is an official synopsis with first look of the characters of this animated film. A fearless optimist Anna (voice of Kristen Bell) sets off on an epic journey—teaming up with rugged mountain man Kristoff (voice of Jonathan Groff) and his loyal reindeer Sven—to find her sister Elsa (voice of Idina Menzel), whose icy powers have trapped the kingdom of Arendelle in eternal winter. Encountering Everest-like conditions, mystical trolls and a hilarious snowman named Olaf, Anna and Kristoff battle the elements in a race to save the kingdom. So far Walt Disney is not disappointing me. Tangled and Wreck-it Ralph both live up to their respective expectations and have a strong feeling that Frozen will be the same. With a smashing cast with Kristen Bell, Idina Menzel and Jonathan Groff, I know Disney choose the right people for this project. looking forward to know more about this movie. Opening in local cinemas on January 2014 to be distributed by Walt Disney Pictures.